Built in 1991, this residential property captivates with its extraordinary design. 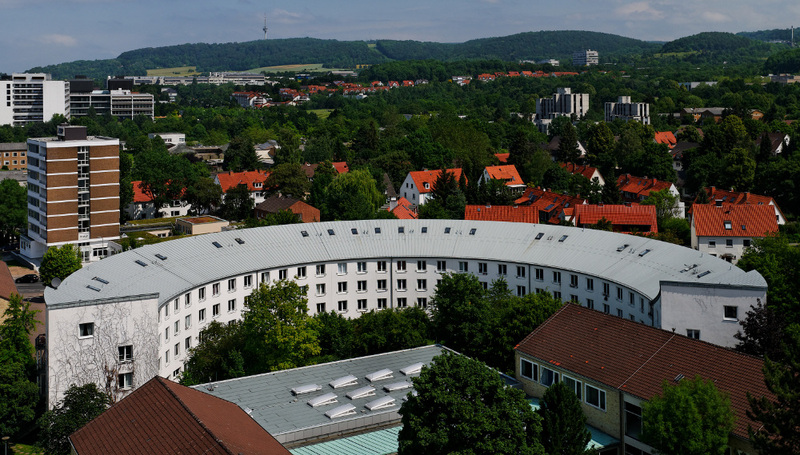 Among Göttingen students, the house is known as the "Coliseum". Right next to the dormitory is the Mensa Italia, which invites to a communal lunch. The central location and a large green area characterise this facility. By bike, the city centre and the campus can be reached in 5 minutes.